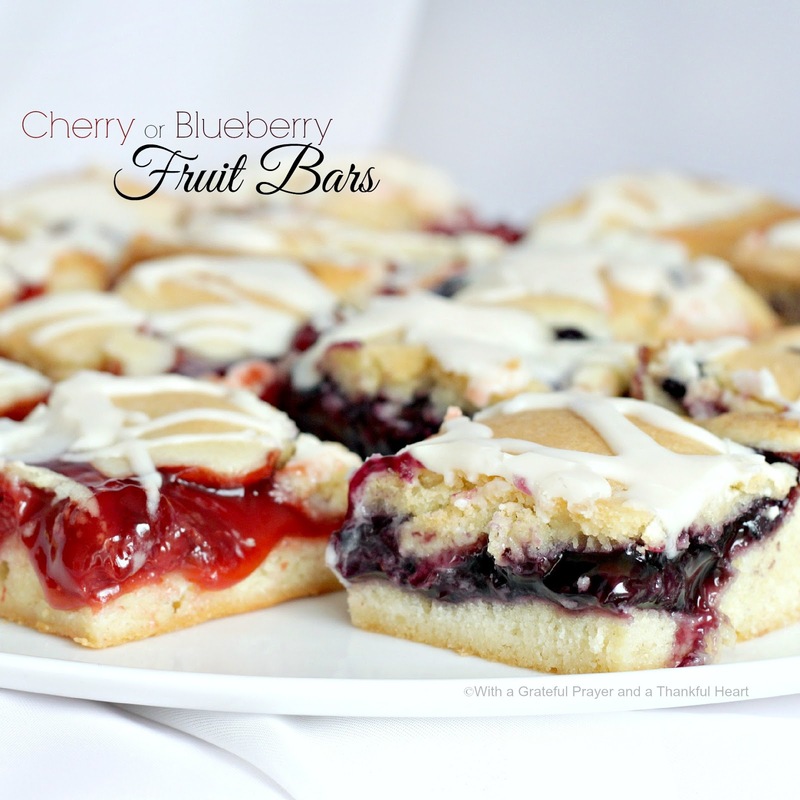 Cherry or blueberry fruit bars are easy and quick to prepare, bake in a sheet pan and are so pretty and appealing. Perfect for breakfast and dessert. 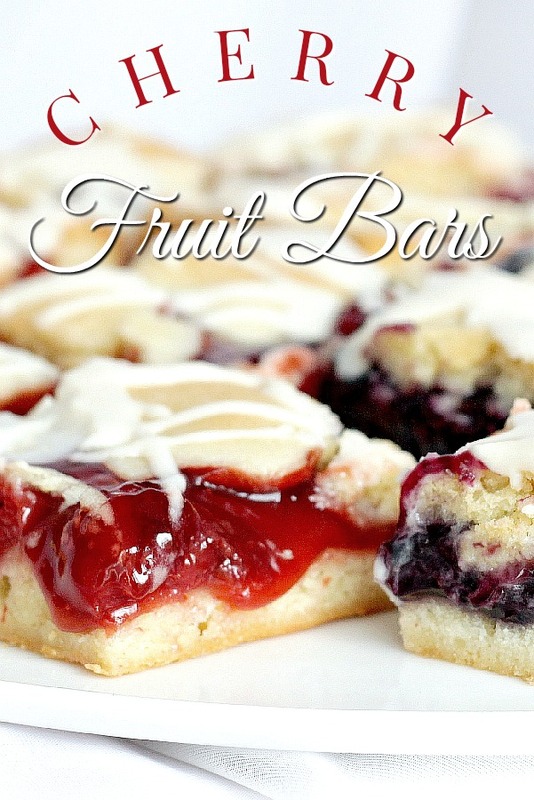 I first saw a recipe for fruit bars on Taste of home and then on my friend, Sandi’s blog, Wayside Treasures. My son-in-law’s mom makes something similar. So, I made it for a special dinner with our family. The recipe is especially for my Aunt Rose. 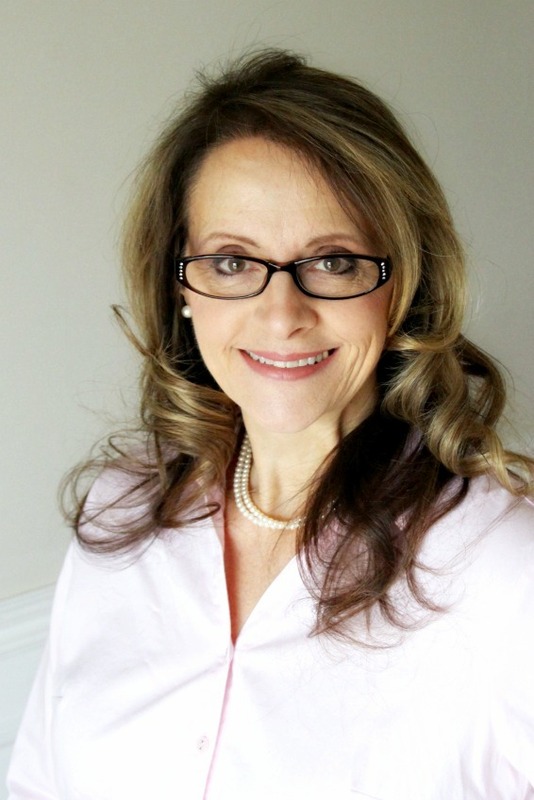 Since she was visiting from Florida and our daughter, Jill and family were visiting from up-state New York, I asked my cousin, Karen, if they were free to come for dinner. I was thrilled that schedules worked out and everyone got to spend an evening together. I served these fruit bars topped with a scoop of ice-cream for dessert. My aunt loved them and wanted the recipe! The recipe calls for two cans of cherry pie filling but I used a can of cherry and a can of blueberry. The batter is heavy and it bakes stiffer than a cake batter. More like a danish. I also like it because it makes a large batch and perfect when serving a crowd. Preheat oven to 350°. In a large mixer bowl, cream butter, sugar and salt until light and fluffy. Add eggs, one at a time, beating well after each addition. Beat in extracts. Gradually stir in flour. 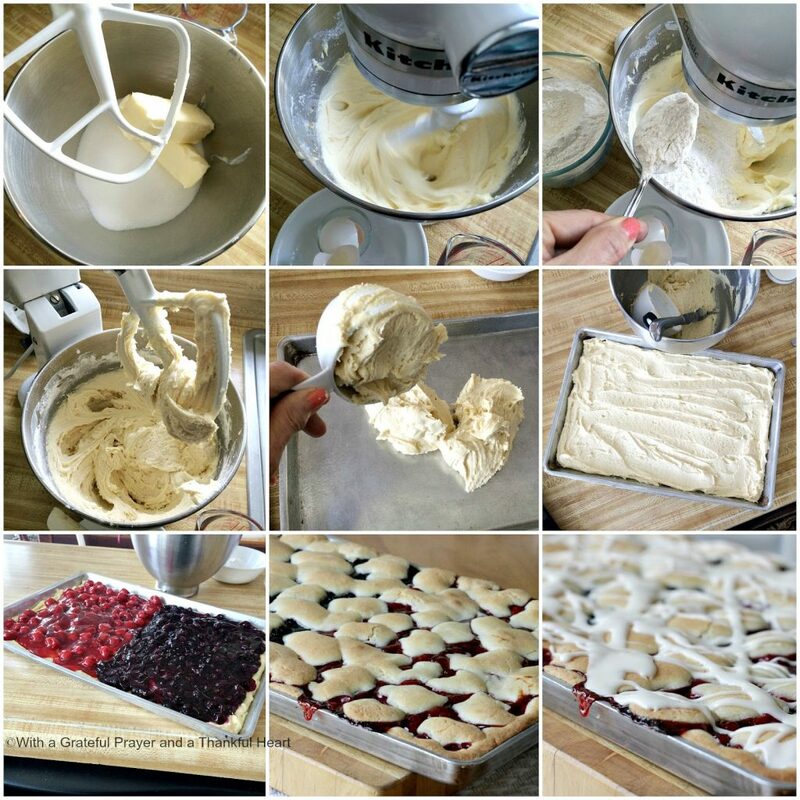 Spread 3 cups batter into a greased 15x10x1-inch baking pan. Spread with pie filling. Drop remaining batter by teaspoonfuls over filling. Bake 30-35 minutes or until golden brown. Cool completely in pan on a wire rack. In a small bowl, mix confectioners’ sugar, extracts and enough milk to reach desired consistency. Drizzle over top. You need to open a pastry shop…yummy! Delicious! 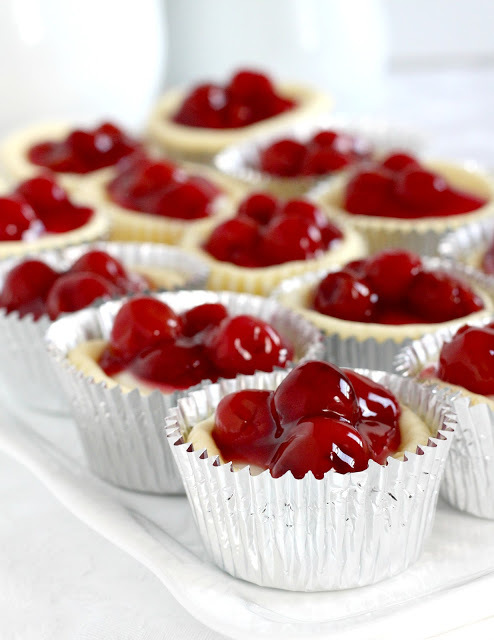 What a yummy dessert to make for loved ones. Such a nice photo too! Thanks for sharing at Fridays Unfolded! No wonder everyone's schedules worked out to come together for the evening, those bars look amazing! This is definitely one of those recipes that I am going to save in my files, just in case some of my family can get together soon. Thanks so much for sharing the recipe. Oh my but they look like a treat! You'll have all of us drooling on our keyboards! 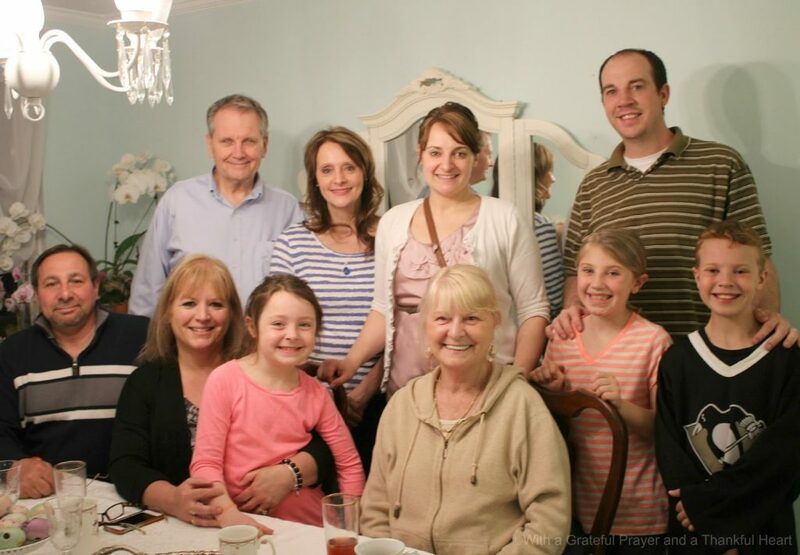 I love that you have such wonderful family gatherings. I copied this recipe over. I am always looking for easy recipes like this that I can do ahead and it will serve a crowd. So great to have family get togethers! The recipe looks wonderful too. Nice family photo! And those bars look amazing, like melt-in-your-mouth amazing! Okay, I want some now! They look delicious and I'm sure they were a big hit! They would be gone in a heartbeat at our house! Thanks for sharing the wonderful recipe!